Discover the fascinating and scenic Danube with its charming small towns and exciting cities on this river cruise vacation. Begin with a guided sightseeing tour and a 2-night city stay in Vienna, the “City of Music.” Savor Sachertorte in a local café, spend time in one of the many marvelous museums, shop along the Kärntnerstrasse, or stroll along the historic streets. Then, board your ship and begin exploring the natural beauty of Austria’s Wachau Valley. Enjoy the serene atmosphere as you glide along the river, passing quaint villages and scenic beauty. Visit Melk’s impressive and breathtaking Benedictine Abbey, see Dürnstein’s baroque Stiftskirche, and enjoy guided sightseeing in Slovakia’s vibrant capital of Bratislava. Your journey concludes with two overnights in exciting Budapest, including guided sightseeing and time to explore on your own. Enjoy Hungarian cuisine, view the remnants of the Communist regime, explore its famous produce market—Central Market Hall, wander around the former Royal Palace grounds, explore its famous churches, or just sit back and relax. It’s all available on this grand vacation! Welcome to Vienna, Austria’s capital, known as the “City of Music” and which inspired the creative genius of Mozart, Beethoven, and Strauss. The remainder of the day is yours to start exploring this elegant city. Once the center of the mighty Habsburg Empire, Austria’s magical capital on the blue Danube is a showcase of gilded architecture. This is home to the lavish Hofburg Imperial Palace complex with its Vienna Boy’s Choir and dazzling Lipizzaner stallions; the neo-renaissance Vienna Opera House; and awe-inspiring St. Stephen’s Cathedral—plus, countless other sights your Certified Local Guide will show you during an included CITY SIGHTSEEING TOUR. In your free time, perhaps visit one of the many magnificent museums or browse through the Naschmarkt, Vienna’s main outdoor produce market for over 80 years. An optional concert is available during your stay. Time to explore on your own today—be sure to enjoy a piece of decadent Sachertorte or Apfelstrudel in one of the classic Viennese coffee houses, historic institutions that helped shape Viennese culture! Perhaps you’d like to take an optional excursion to Schönbrunn Palace or to the Vienna Woods. This afternoon, transfer to your river cruise vessel and meet your crew at a welcome reception. Today is dedicated to the beautiful and romantic Wachau Valley, where so much of the excellent Austrian wine is grown and produced. This morning, visit the impressive 11th-century BENEDICTINE ABBEY, which towers over the town of Melk. The abbey houses an ornate library with over 80,000 printed books and 2,000 manuscripts. Words cannot describe the splendor of the church with its frescoed ceilings, stunning high altar, marble statues, and 210-foot-high cupola. The view from the terrace of the abbey over the Danube and surrounding countryside is breathtaking! After Melk, lounge on the Sky Deck with a glass of white wine while enjoying the gorgeous scenery as you sail to Dürnstein, best recognized by its baroque blue and white Stiftskirche standing right on the river bank. The main street of this small town—with a population of less than 1,000 people—is lined with 16th-century residences and charming cobblestone streets. Explore on your own or choose one of the popular optional excursions. Situated above town are the ruins of the castle where England’s King Richard the Lionheart was imprisoned in 1192. If you are feeling adventurous, hike up to the ruins for spectacular views of the town and river. This morning, arrive in Bratislava, the dynamic capital of Slovakia at the foothills of the Carpathian Mountains. Join your Local Guide for a tour of the city, including a GUIDED WALK of its fascinating Old Town, where winding cobblestone streets and narrow alleyways twist and turn to reveal the Town Hall, one of the oldest stone buildings in the city. Also visit gothic ST. MARTIN’S CATHEDRAL, coronation church for the Kingdom of Hungary from the 16th to 19th centuries. This afternoon is free to explore on your own. Spanning the banks of the Danube, Budapest is one of Eastern Europe’s liveliest cities. Whether you’re seeing the sights, shopping for handcrafted embroidery or Herend porcelain, or basking in the coffee house culture over a rich cream cake in the renowned Gerbeaud Café, Budapest’s unique energy is positively palatable. 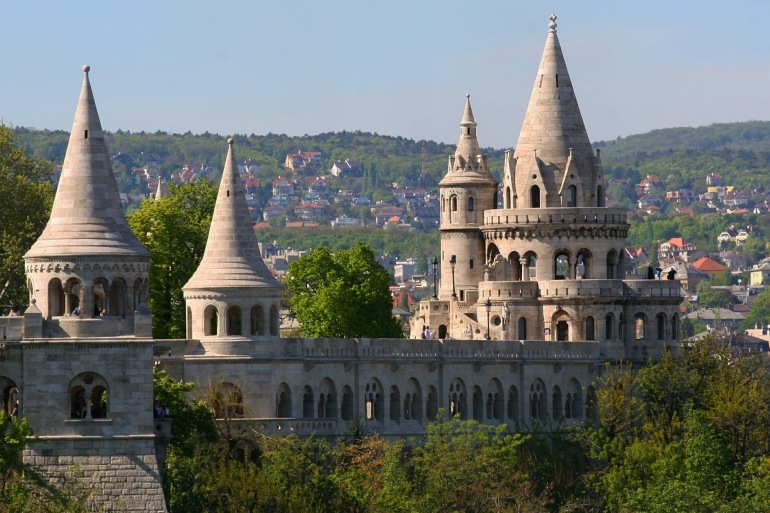 On your GUIDED TOUR of the city, see the massive hilltop castle complex with its remarkable Fishermen’s Bastion and 11th-century Matthias Church, the coronation spot of several Hungarian monarchs. Be sure to take note of the city’s eight bridges—many famous sights in and of themselves—which connect ancient Buda on the right bank with Pest on the left. You may even want to walk across Chain Bridge, a symbol of Budapest built in 1849. This afternoon, explore this vibrant city at your own pace. Perhaps visit St. Stephen’s Basilica, with marvelous views of the city from its viewing platform, or stroll along Váci utca, the main shopping street. Enjoy a free day to explore Hungary’s exciting capital. Visit one of the many exciting museums, take a walk to see some of the remaining communist statues, shop at the Great Market Hall to purchase paprika and embroidery at one of its 180 vendor stalls, or wander around the Royal Palace grounds. 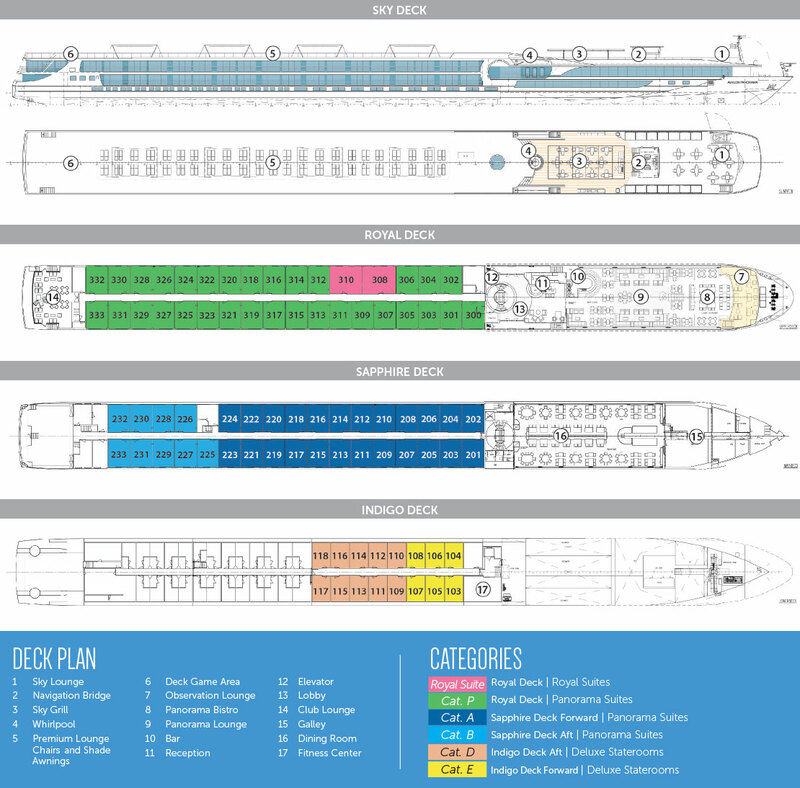 Your Cruise Director will have suggestions for many things to do. Few would argue the InterContinental Budapest is in the city's best location: right on the Danube across from Castle Hill and the Royal Palace. With the Chain Bridge and the Parliament just steps away, there's no shortage of superb sightseeing opportunities. The Váci Utca shopping street, Central Market Hall and the Gellért Baths are also nearby.